"Delicious and fresh summer treat. A favorite for everyone." 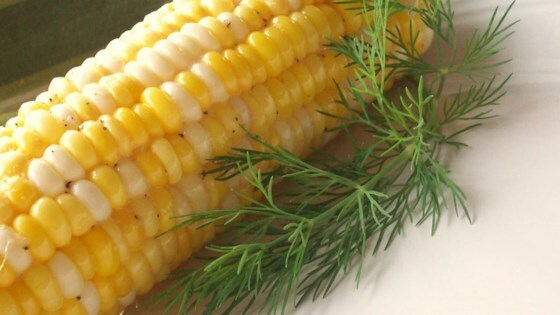 See an easy way to grill fresh corn on the cob. I par-boiled my corn in sugar water and then grilled it. I too used fresh garlic and then made a garlic butter sauce for brushing after they were off the heat. Very good and thanks Christine!